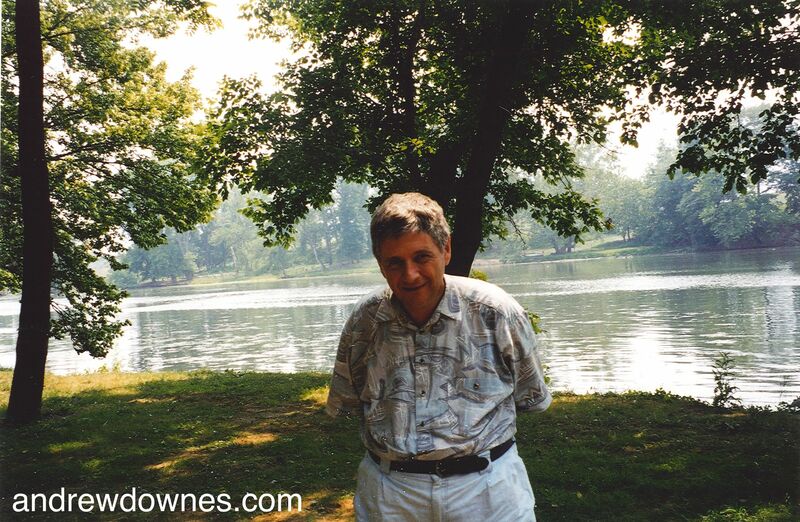 Have you performed in any of Downes' Flute works or come to watch? Please share below! 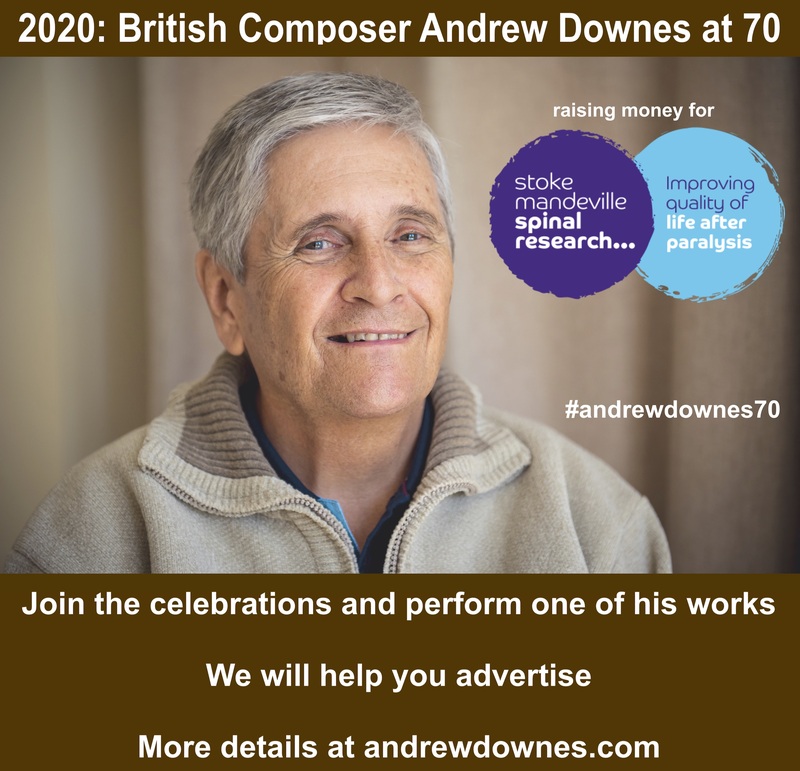 Most of Andrew's commissions for flute choir were brought about by Margaret Lowe, wife of Dr James Lowe (see my Sonata for 8 Horns blog). Margaret is as fanatical about the flute as Jim is about the horn. There is a friendly rivalry between them. In the year following the Sonata for 8 Horns, commissioned by Jim, Margaret commissioned the Sonata for 8 Flutes or Flute Choir. She asked all her flute friends and acquaintances, including James Galway, to contribute to the commission fee, because this work was to be dedicated to Albert Cooper, the inventor of a revolutionary flute mouth piece. When I was checking the typesetter's work, I realised what a masterpiece Andrew had composed. 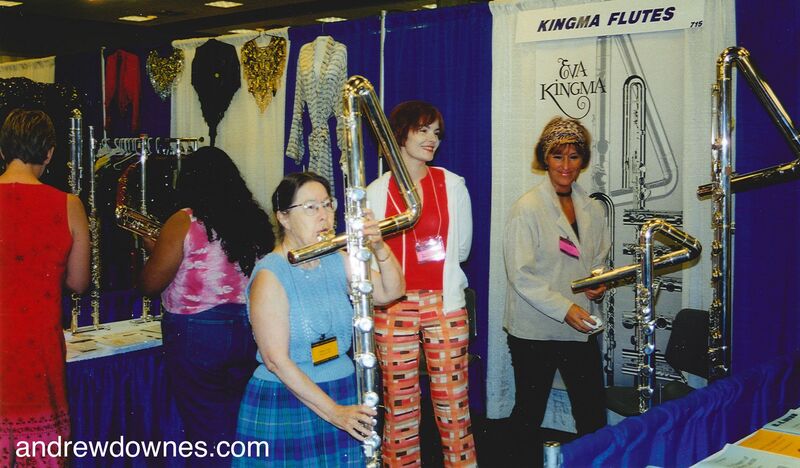 In August 1996 Carol Kniebusch Noe, flute professor at the James Madison University of Virginia and founder of the first American flute choir, conducted the world premiere of the Sonata for 8 Flutes in New York, at the Convention of the USA National Flute Association. 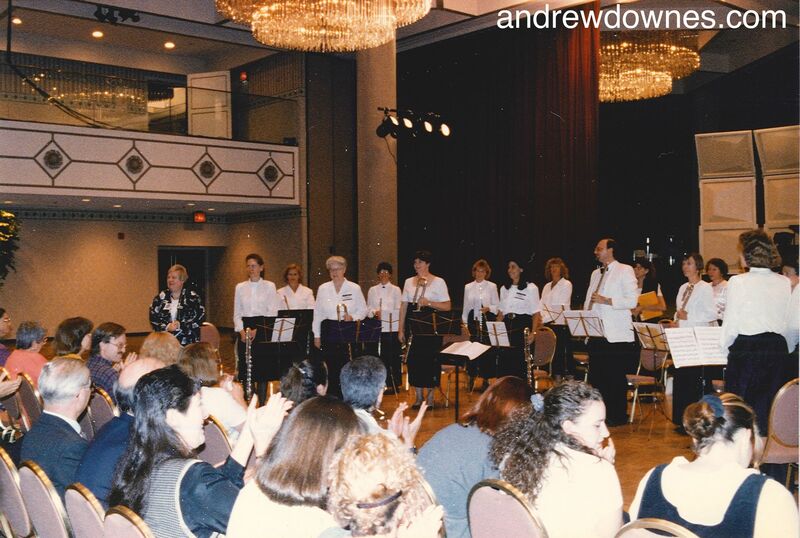 The Convention's Professional Flute Orchestra performed it in the ballroom of the enormous Mariott Marquis Hotel. We took Anna and Paula to the event. They were very excited to spend time in the Big Apple. 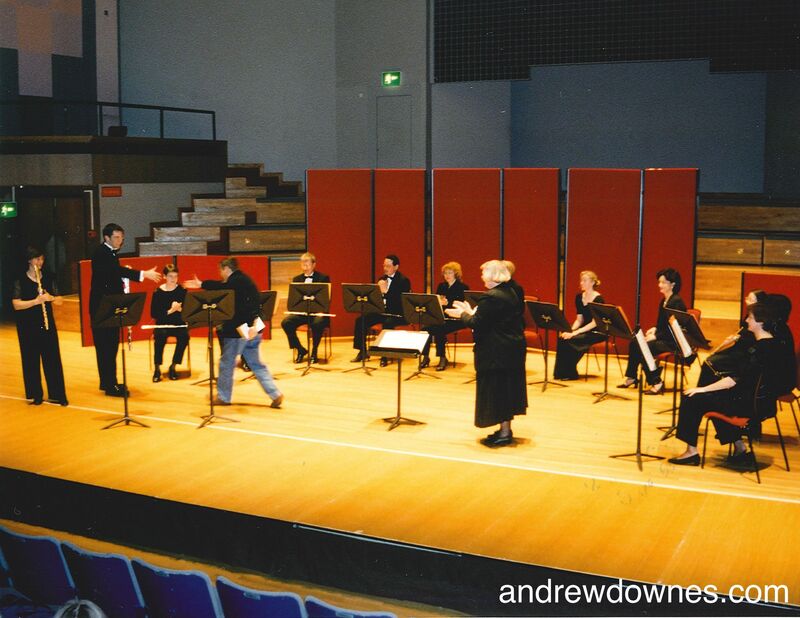 The first British performance was in October of that year, at a Flute Day at Birmingham Conservatoire, organised by Margaret. The Birmingham Professional Flute Choir, conducted by Carol Kniebusch Noe, performed the work in the Adrian Boult Hall. Margaret Lowe is very small, but she has a phenomenally strong personality. 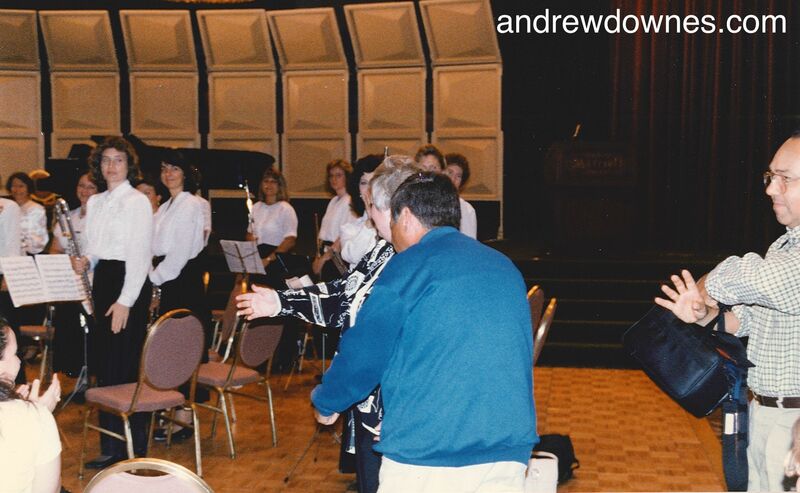 At the Convention in New York she went round clutching Andrew's score and introducing it to all her flute friends. 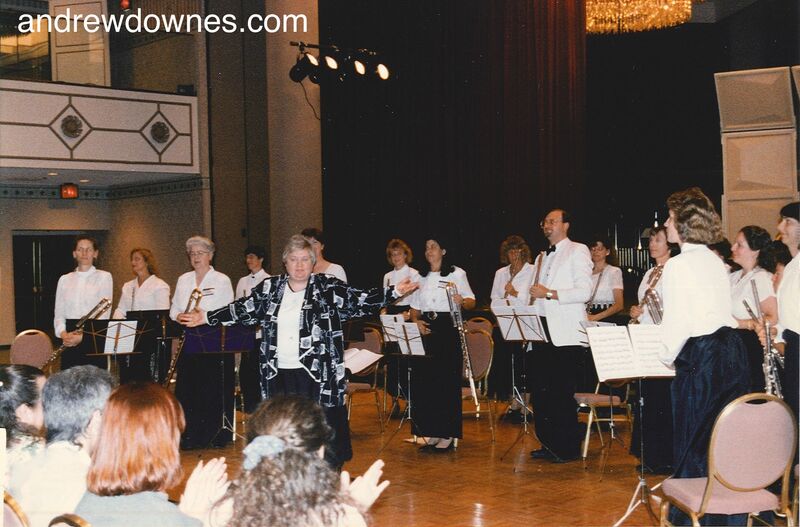 The performance was an immense success and literally hundreds of flute choirs all over the world have performed the work since, mainly thanks to Margaret. I have spent countless hours putting together scores and parts for each set I have sold. Now that Andrew's works are available as digital downloads, I get a thrill each time a set is sold and I don't have to do anything! Margaret commissioned more works following the Flute Octet: the Fantasia for Alto and Bass Flute Soloists with Flute Choir, Song of the Eagle and the Symphony No.5 for Flute Orchestra. 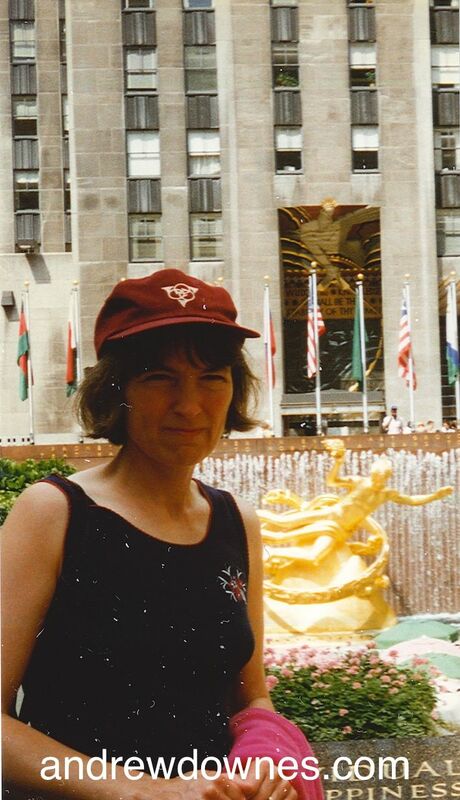 Margaret organised first performances in Birmingham (UK) and the USA. 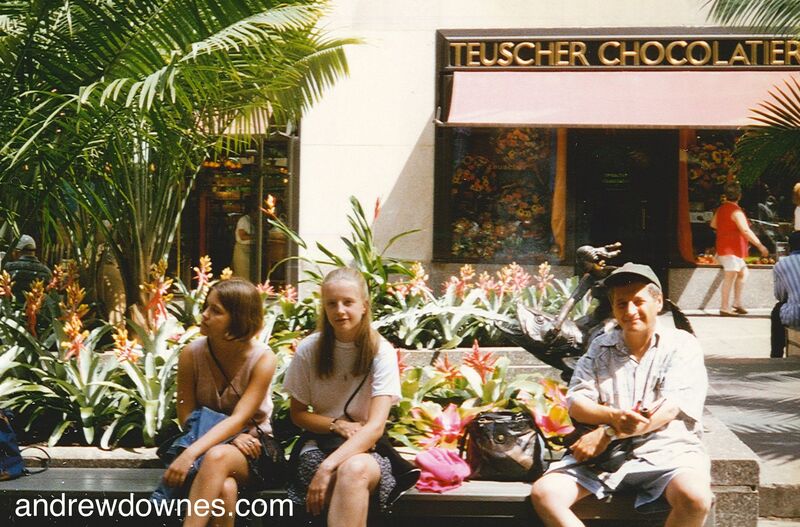 We went to many USA National Flute Conventions over the years to performances. The works still sell well and performances still take place on a regular basis. Many of these performances are documented on the works page of the website. I particularly remember the trip Andrew and I made to Virginia in 2000 to hear the James Madison University Flute Choir, directed by Carol Kniebusch Noe, play Andrew's works, and then our drive up to Lexington near Boston, Massachusetts, with Jim and Margaret, to hear the Massachusetts Flute Choir, directed by Danielle Boudrot, who also gave a concert of Andrew's works. It was springtime in Virginia. The trees were laden with blossom. 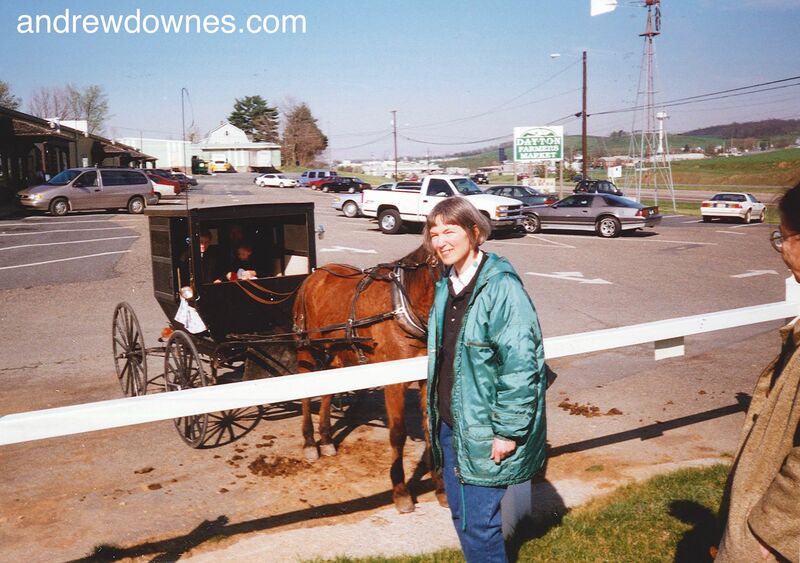 We saw Mennonites for the first time and visited their market, where I bought a tube of their udder cream, a great moisturiser! 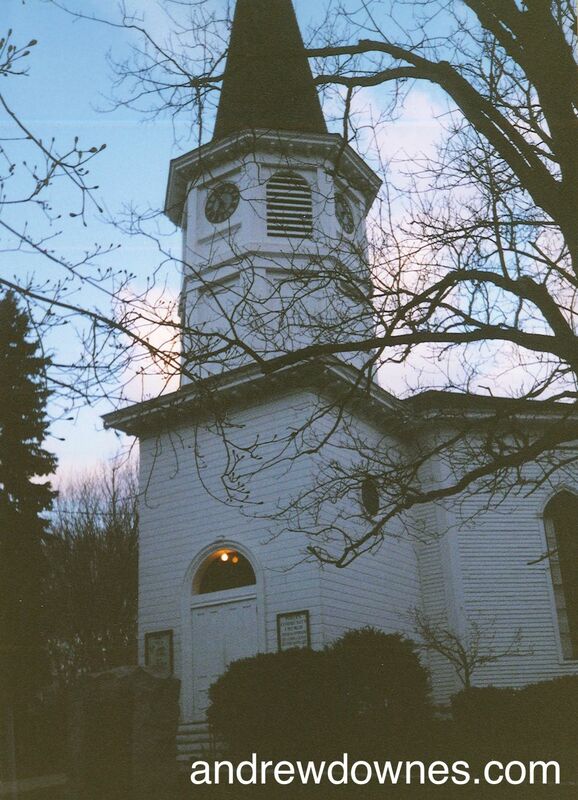 As we drove north to Massachusetts, we returned to winter and the trees were bare. Both concerts were stunning and both Flute Choirs made CDs of Andrew's music. 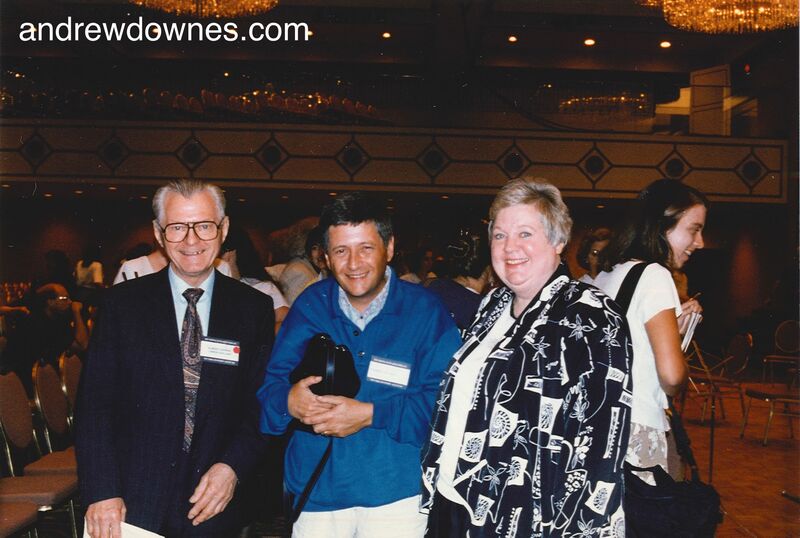 Another great trip was to the USA National Flute Convention in Washington DC in August 2001, where Andrew's Flute Symphony was superbly played, again by the Convention's Professional Flute Choir directed by Carol Kniebusch Noe. 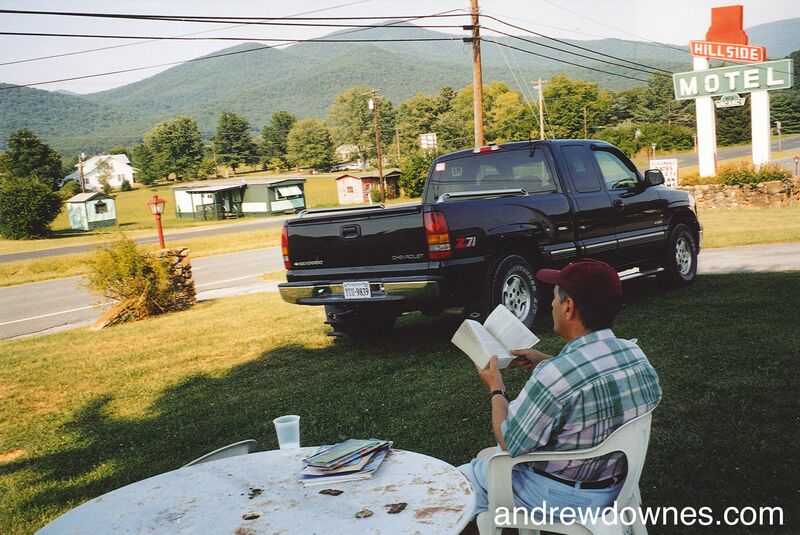 Before it, Andrew and I had a holiday in Luray, overlooking the Blue Ridge Mountains of Virginia. We just sat and looked at the view in temperatures of over 100 degrees Fahrenheit. 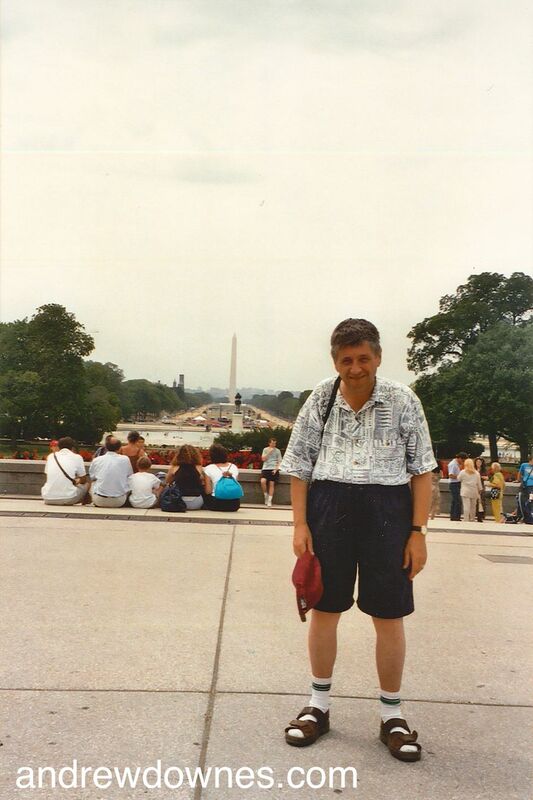 In these temperatures we also looked round Washington before the performance at the Convention. 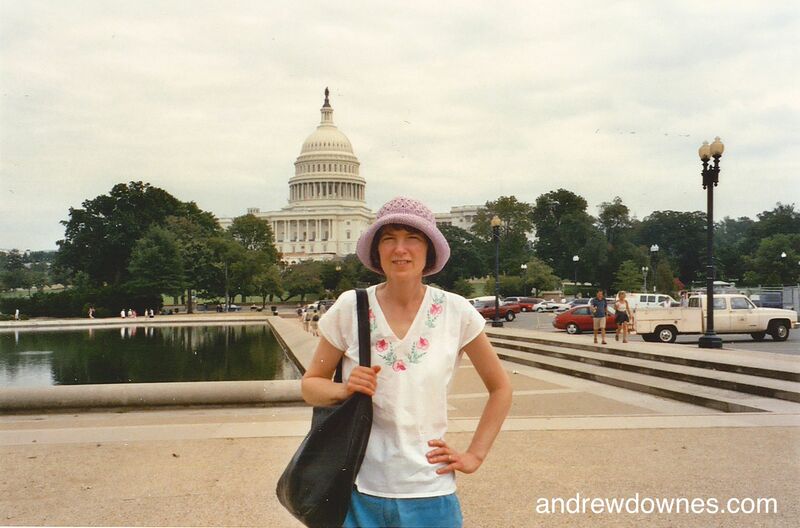 We walked the great distances to the White House and Capitol Hill. 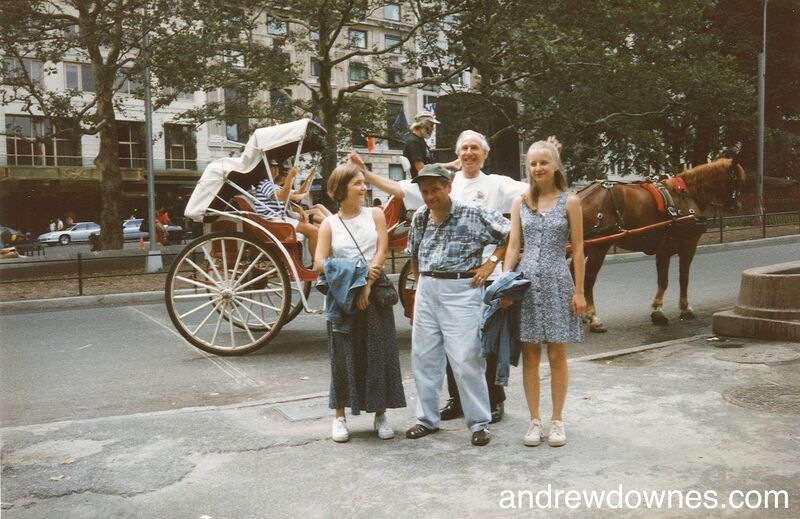 It was hard going in that heat, especially for Andrew. But he's always been stalwart. Two other performances stand out in my mind. Firstly, one in Venezuela, by the National Flute Orchestra of Venezuela, conducted by Carol Kniebusch Noe. We heard the recording of this concert. The sound was magnificent! Secondly, Jenny Brooks conducted the National Flute Orchestra of Mexico in Mexico City in a performance of the Flute Symphony. 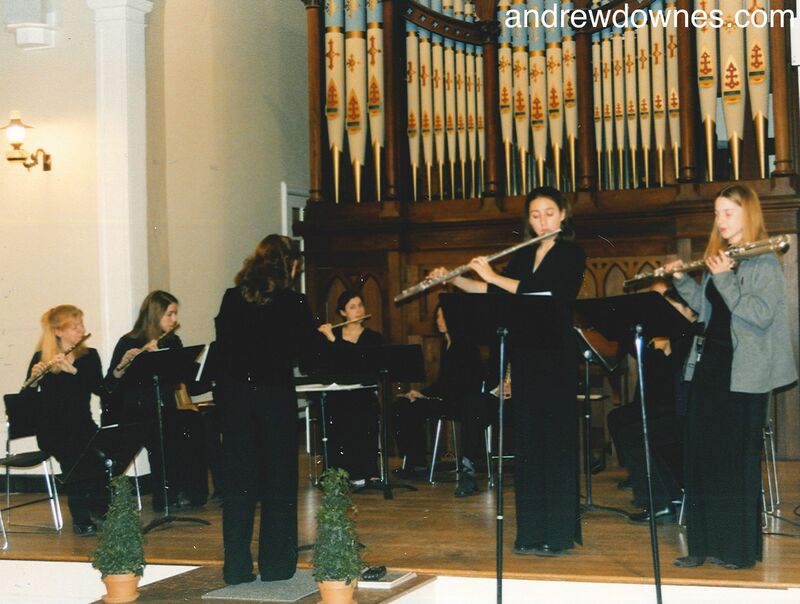 Jenny has conducted many performances of Andrew's flute music in the UK, in particular at the Stratford upon Avon International Flute Festival. 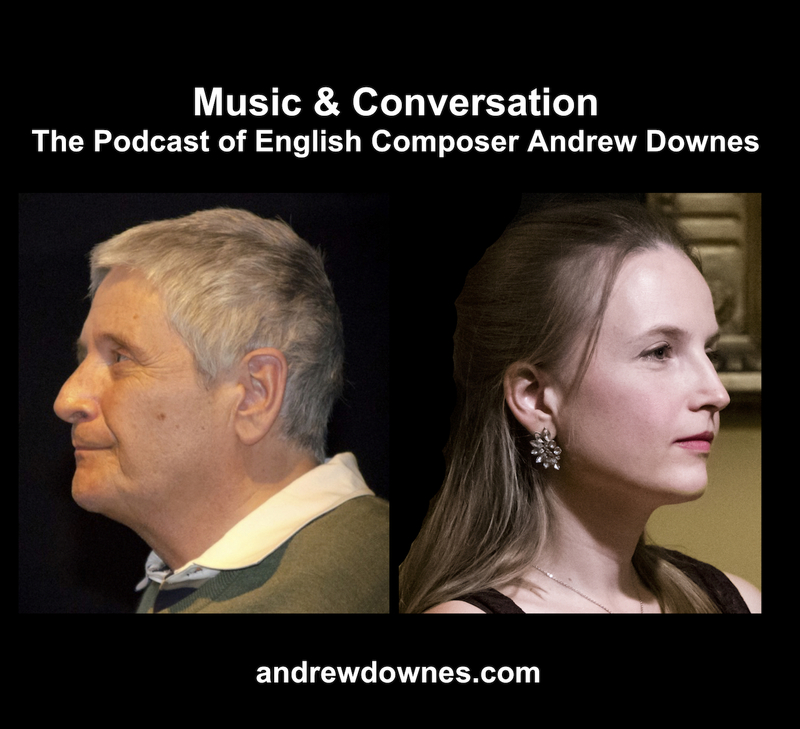 As a result of all these works, Andrew was commissioned by Nancy Spidel, director of the Colorado Flute Orchestra to compose his beautiful Mountain Song, for Flute Choir, Harp and String Bass. Andrew made a quick visit to Colorado in the Rockies for the premiere. 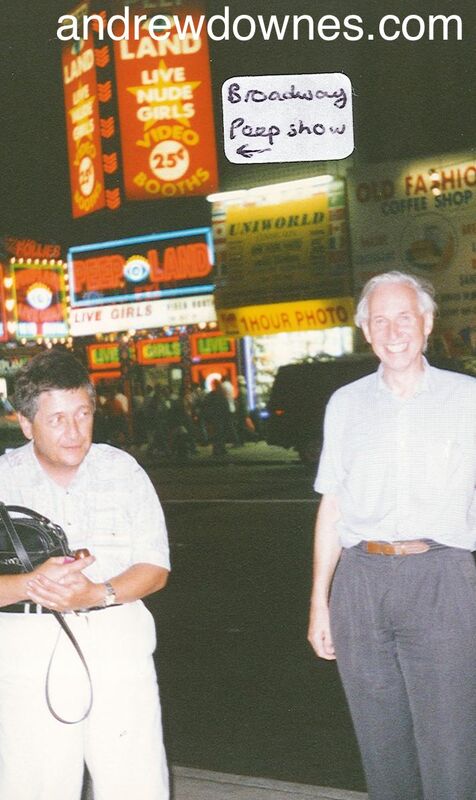 It was just before Christmas 2003. 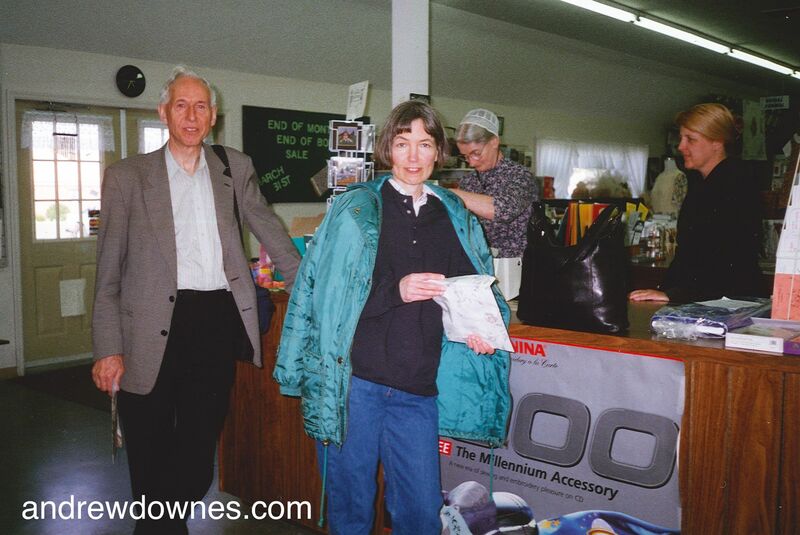 I couldn't go because I was busy: Anna was due to get married to Mike Price 2 days after Christmas! 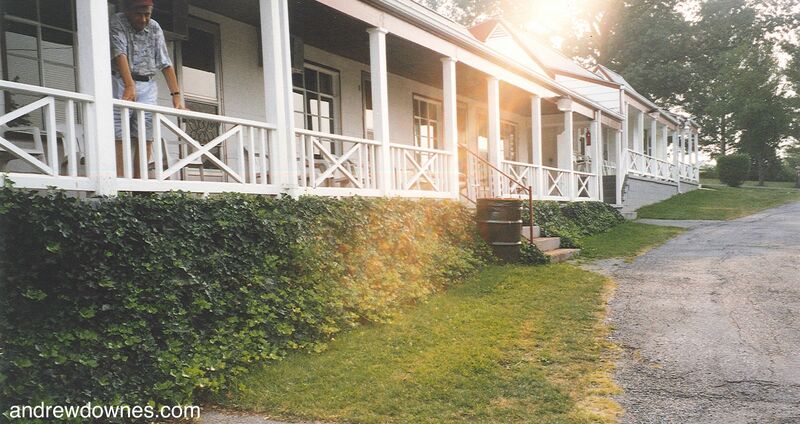 Mountain Song was performed in the 2006 USA National Flute Convention, by the Columbia Flute Choir, directed by Sharyn Byer. The Convention was held in Pittsburgh. 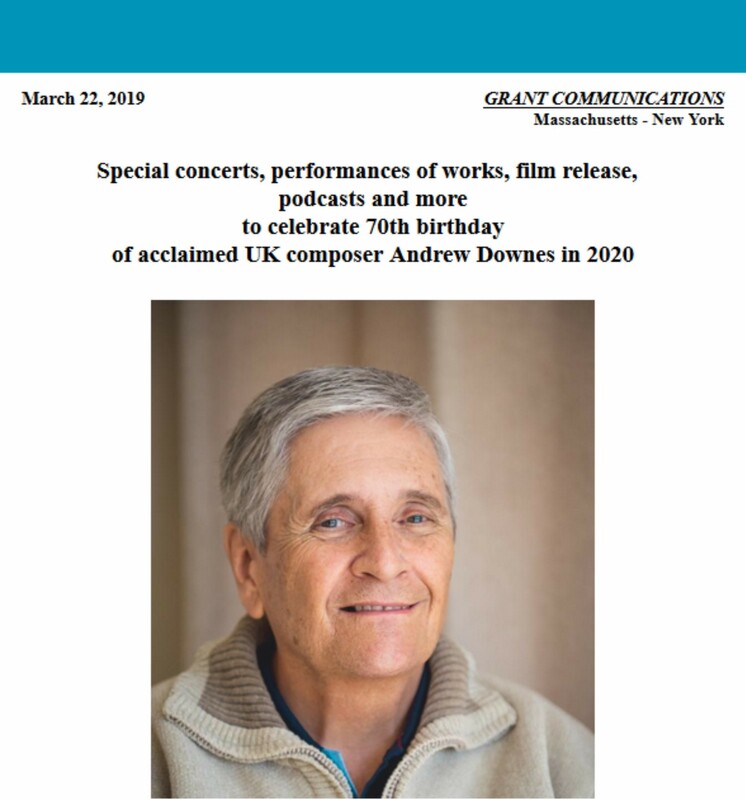 Andrew and I went to this performance and then drove via the Finger Lakes to Boston, Massachusetts, where Paula had organised a concert of Andrew's unaccompanied sacred choral music in King's Chapel. Andrew and I sang in this concert. Another unforgettable memory for me. 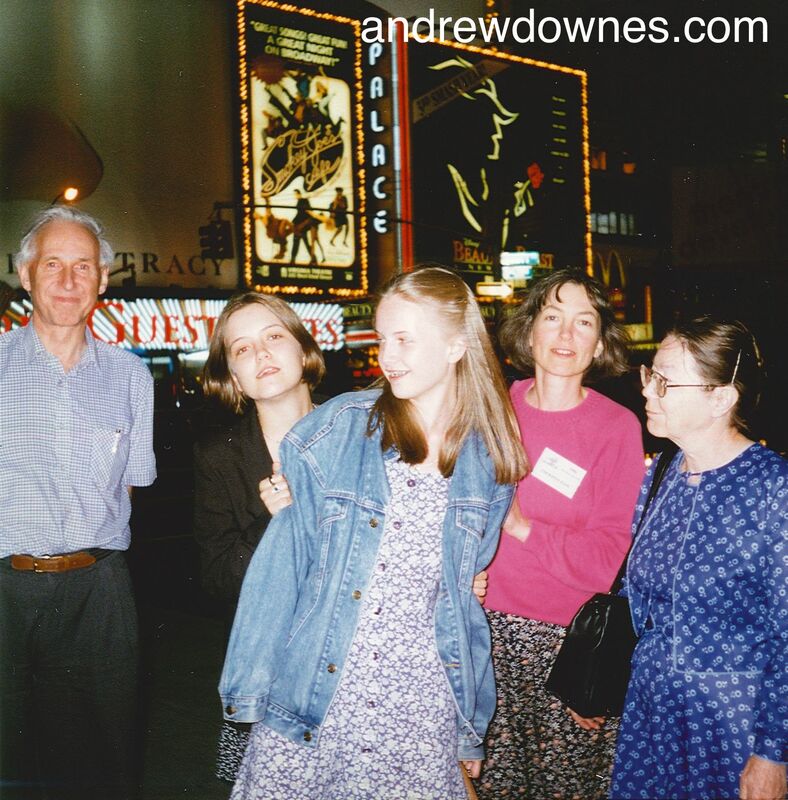 While we were there, we drove to New Jersey to hear Uptown Flutes perform Andrew's Sonata for 8 Flutes. 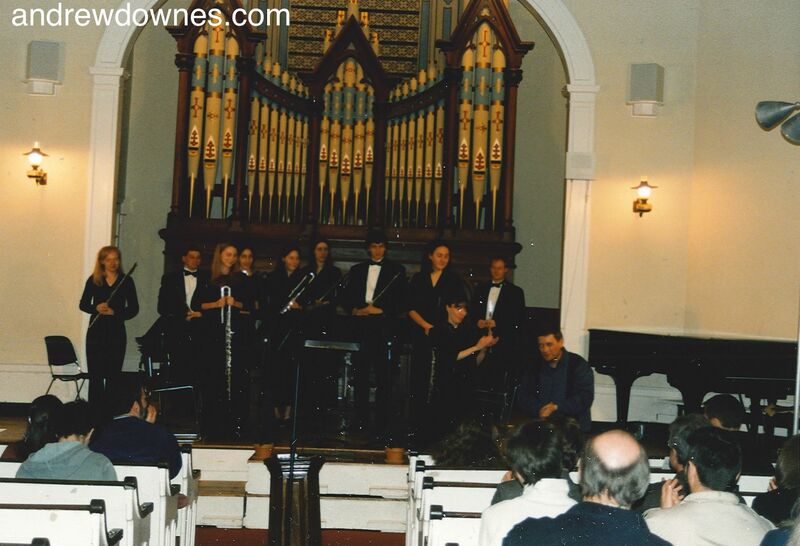 Uptown Flutes also recorded the work for CD. Andrew was also asked to give a talk before the Uptown Flutes concert. Unfortunately, he had picked up a bug on the plane. 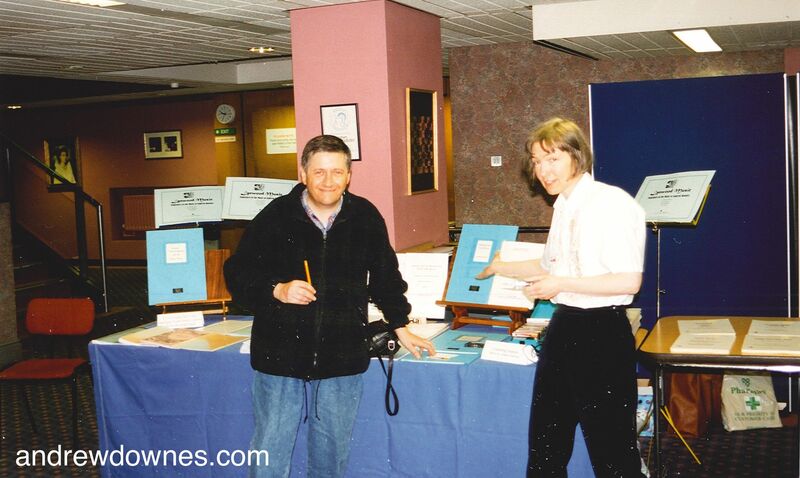 His voice was croaky in the talk and he then developed a bad chest infection, the first of 2 picked up on planes. We started to reduce our 'jet setting' after that. Since Andrew broke his back in 2009 and became wheelchair bound, we haven't travelled anywhere by plane. But we constantly hear of performances of Andrew's flute works. Recordings are often sent to us via the internet, which for us has come into our lives just at the right time. 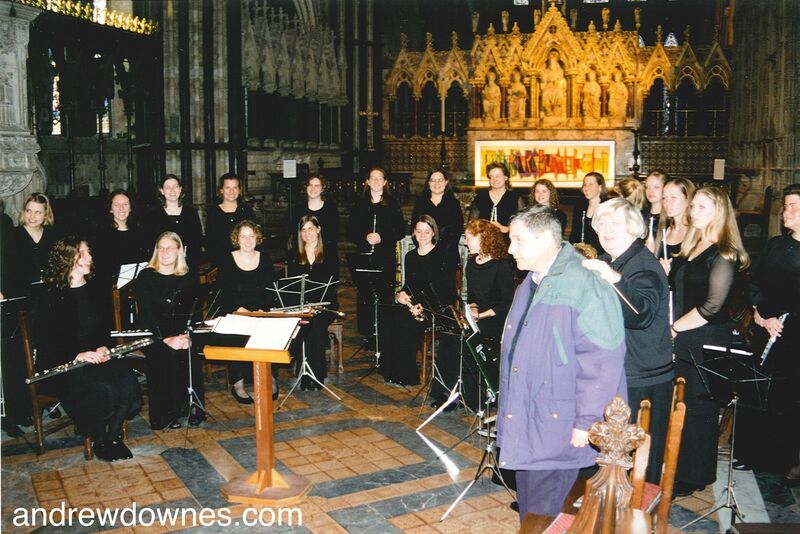 Margaret Lowe formed the National Flute Choir of Great Britain in 2010 and organised more performances of Andrew's music during her playing time with them. Margaret was well into her eighties when she decided that sadly her hearing was no longer good enough to play her flute. Her legacy goes on, however, in all the performances of the flute works which she commissioned.